Fiction writers today are facing a Brave New World. 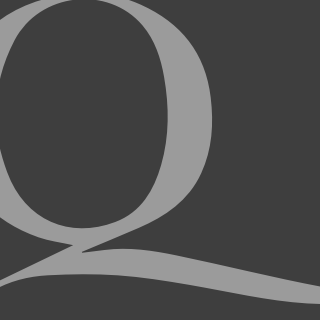 The time when an author could be, for the most part at least, assured of critical judgment based on his creative talents and writing ability alone appear to be drawing to a most disheartening close; and new criteria of quality are being established by the mainstream cultural elite. To some literary critics, especially those on the political Left, it no longer matters if what is written has inherent and objective worth, insofar as they believe this even to be possible, or if a work accurately exposes a facet of the human condition. Instead, a minefield now awaits authors, with editors, reviewers and ever-reliable Twitter mobs waiting to catch a writer out for “wrongthink”. This most reprehensible atmosphere in literary circles has culminated in the new offence of “cultural appropriation”. This review appears in the April edition of Quadrant. All across the publishing world, the impact of allegations of so-called cultural appropriation is clear. In 2017, children’s author Anthony Horowitz was cautioned against using black characters in his novels by an editor who thought it “inappropriate” for a white writer to create a black character. Similarly, in 2018, little-known American Anders Carlson-Wee had his poem “How-To”, which was written from the perspective of a homeless black man, printed in the Nation, only to face online backlash over his choice of literary voice, and for the magazine to apologise for publishing it. These incidents are far from isolated, as any scant research will discover. It was against this backdrop that I came to fully appreciate the importance of Roger Scruton’s recent collection of short stories, Souls in the Twilight. The great conservative thinker, who is far better known for his philosophical works than for his occasional forays into fiction, not only provides the perfect antithesis to the current literary climate, but has more importantly produced a stellar collection of engaging and often perturbing tales. The five excellent stories comprising the work, which have been written over the past fifteen years, are all set before the internet came to dominate our lives. In them, the reader will experience situations from the perspective of many divergent characters: an Oasis-admiring Muslim teenager in inner-north London, a young upper-class girl residing in rural England, the long-suffering partner of a failed composer, an unfaithful university professor, and a student trapped in the cultureless wasteland of late 1970s suburbia. 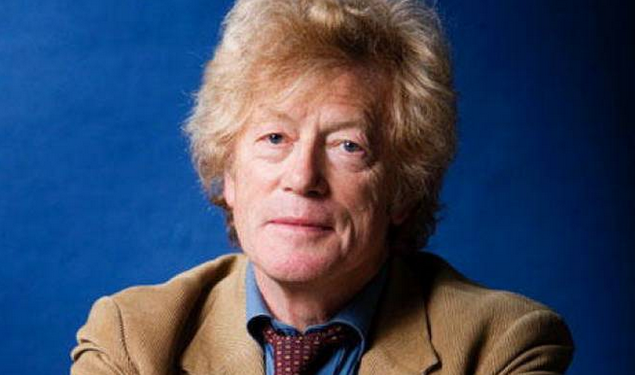 While some of these narrative voices are more convincing than others, what cannot be doubted is Scruton’s attempt to operate within the noble tradition of story-writing, by producing totally fictitious works from the perspective of totally fictitious characters who bear no resemblance to the author. The endorsement on the blurb of the book, from philosopher Raymond Tallis, quotes Jean-Paul Sartre’s description of what good fiction should do, namely “toss the reader from consciousness to consciousness”. If this was Scruton’s intention with his five short stories, then he has unquestionably achieved his aim. The last four tales, titled “Veronica”, “Guy”, “Sarah” and “Bill” after a central character, are all a case in point. The second story, “Veronica” is, in my opinion, the most complex of the five. It requires keen attention on the part of the reader to fully appreciate it, but is well worth the effort. Written from the believable, if not a little clichéd, perspective of a truculent thirteen-year-old girl rebelling against her mother’s new love interest, the story is ambitious in its plot, and leaves many mysteries to be deciphered by the reader. This is not to say that the story contains gaping plot-holes, however, as it is engaging because of, not in spite of, its various ambiguities. It is these uncertainties that make the story so disquieting for the reader, and Scruton finds a near-perfect position on the spectrum that runs from totally clear-cut supermarket fiction on the one end, to impenetrable, supposedly “highbrow” literary babble on the other. The work certainly fulfils Sartre’s benchmark of good fiction, challenging the reader both intellectually and viscerally, and is hard to shift from your thoughts in the days after completing it. The third story is “Guy”, which is told from the perspective of the eponymous character’s long-suffering partner Mary. The work is just as unforgettable as “Veronica”, yet more emotionally raw. The narrative voice of Mary, whose life has been wasted by the man who refuses to marry her, is convincing, and the story develops well; leading to a denouement that is somehow both relieving and heart-wrenching in equal measure. A masterly short story, “Guy” is proof that Scruton is a capable writer of this genre; with extraordinarily touching depth displayed in only twenty short pages of lapidary prose. “Sarah”, the fourth of the book’s stories, focusing on the intriguing character whom the tale is named after, is told from the perspective of a married professor with whom Sarah is having a romantic relationship. It is easy to thoroughly lose oneself in this absolute gem of a story, set partly in an English university campus and partly in war-torn Lebanon. The story is morally challenging on a number of fronts, and the character of Sarah is by far the most complex and absorbing of all the characters in the book. Harrowing in places, “Sarah” is a unique wonder that bears reference to the author’s astounding ability to utilise language in a piece of quality short fiction. The last short story is “Bill”. Easily the longest of the five, “Bill” is written from the perspective of Michael, a student who finds his life in cultureless suburbia turned upside down as a result of his peculiar friendship with the eccentric eponymous character. Highly readable and laced with apt imagery and superb description, the work is also rich with the kind of cultural commentary and conservative sentiment that one would expect of Scruton. Culminating in a clever and unexpected twist, “Bill” is a fine addition to the collection. However, Scruton is not an infallible creative talent, and there are a few genuine criticisms that must be made of Souls in the Twilight. First, the narrative voice can be clichéd or unrealistic, and second, plot holes are not uncommon. Although not prominent in the four stories discussed above, these weaknesses surface in the first work, “Yusuf”. Yusuf’s train of thought is often unbelievably childish, despite the character being in his late teens, with one-word sentences like “Great!”, “Cool!” and “Amazing!” awkwardly littering the first few paragraphs. At times the childishness lapses into prose that borders on broken English. This is bizarre and unnecessary, considering it is Yusuf’s thoughts, and not dialogue, being elucidated to the reader. Moreover, throughout the work Yusuf also articulates eloquent metaphors and similes; a characteristic that does not square with his simultaneously childish demeanour. While on the one hand criticising the believability of Scruton’s character Yusuf, I have to commend him for attempting this daring “cultural appropriation”, and also admit that realism isn’t always the point with a work of art. The great landscapes of J.M.W. Turner are less realistic than those of his contemporary and rival John Constable, but on these grounds alone can we say that Constable is the better artist? Of course not. In the same way Scruton, whose character Yusuf is real in his own imagination, cannot be judged fully on whether I see his character as unrealistic. This certainly isn’t an invocation of relativism with regards to character creation, only to say that any sustained criticism of Scruton on this point will fall flat, as it misses the point that art is not always intended to fully mirror reality. Plot holes are also an issue in “Yusuf”. For example, while the blurb accurately says that “Yusuf [is] set on a path of revenge that bears no relation to his teenage life”, it is still unclear at the end of the work how he ended up on this “path of revenge” in the first place. Why such a childish character would be chosen for the task of revenge is likewise a mystery, as is the reasoning behind the need for revenge, and why Yusuf appears to feel no apprehension about going through with the senseless act he commits. On the whole though, Souls in the Twilight is a great example of high-quality short story writing, and an elegant riposte to the barbarism of so-called “cultural appropriation” in literature. Scruton writes fiction that is both stimulating and engaging, omitting the hallmarks of some highbrow fictional dross, such as overcomplicated writing style and word choice and indecipherable plots. Scruton also steers clear of the overdone touchstone cultural issues of our time, which for some readers will come as a pleasant surprise. 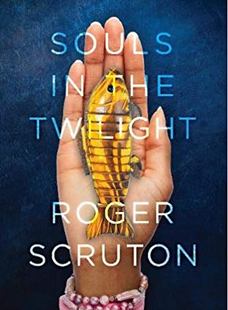 However, Souls in the Twilight isn’t on a par with Scruton’s exemplary recent non-fictional works, insofar as a useful comparison of the two can be made. Its contribution to fiction is not as profound as his landmark contribution of The Uses of Pessimism, Fools, Frauds and Firebrands and How to be a Conservative to political philosophy; but this says more about the quality of Scruton’s non-fiction than any shortcomings in his fiction. And, for what it’s worth, Souls in the Twilight is certainly a book worth buying. Oliver Friendship lives in Queensland. He reviewed The People vs Tech: How the Internet is Killing Democracy (and How to Save It) by Jamie Bartlett in the January-February issue. “Souls in the Twilight”? As titles go, this one is better suited to another work of non-fiction. My introduction to Sir Roger’s work came 20 years ago with “England: An Elegy”, a catalogue of real failures to defend Anglo-Christian culture from the barbarians who today have won. So here’s to the real souls in the twilight; those of us who, like Roger Franklin, believe the ashes of Notre Dame cathedral should be left as an indictment of the Left.